That was me not long ago, and if not for a very emotionally supportive wife I may still be working as an Asia analyst at the Federal Reserve. Instead, I’m writing on the video game version of Game of Thrones at Telltale Games (called the HBO of gaming). I am also a published author and optioned screenwriter, and feel my career is at its infancy and will only get better from here. While I had written on the side for some time, I left high school thinking I had to be responsible, not a starving artist. After serving in the Marines, I spent the next few years working on a BA in Japanese studies, an MA in international relations and economics, and then a second MA in writing. I lived in Japan, Korea, and Italy, and worked in international trade and post-conflict reconstruction and stabilization before going to the Federal Reserve. I was at that oh-so-dreaded crossroads where I’d grown bored with my day job, but had a wife and child to support, and a baby on the way. Then came the day when I realized that every moment spent working was time not spent writing, and this was driving me crazy. I found my way into a remote internship with a literary management company, published some short stories and poetry, and started looking at film schools as a way to make more connections in the film industry. I had to do something, and writing at night and then waking up at 4:30 am to write before going to work wasn’t enough. My wife, in her typical amazingly supportive fashion, agreed that I would stop working and make the leap to being a full-time writer, even if that meant I was unemployed and just writing from home. It turned out that was not the path for me, but not because I was lucky. It was because I was fortunate; my hard work put me in the right place, in the right situation, when the opportunity arose. In those last few months of working nine-to-five, I was doing everything in my power to break into writing. Perhaps it was the discipline from my years as a Marine, or simply the dread of looking my children in the eyes someday and telling them I spent a large portion of my time away from them in a job that bored me. Probably a combination of both. I did another writing internship, enrolled in the UCLA professional program in screenwriting, and networked like crazy. I went to the Austin Film Festival and events in Los Angeles. I started a couple of screenplay critique groups and associated blogs, and connected with a filmmaker group that agreed to let me direct a short film I had written (which proved to be an invaluable experience). I wrote somewhere around 15 screenplays and entered them into contests, winning some and placing well in others, and did anything and everything I could think of to open doors into the industry. Since I live in the San Francisco Bay Area, Pixar was naturally on my radar. Some of the people I had reached out to worked there in a writing or story development capacity. When I mentioned my military background and everything I was doing, and asked for advice, more than one of them were willing to offer it. I formed a couple of bonds, so when one of them went to Telltale Games, I was fortunate to soon follow them and landed a job there as a writer. The impression I’d made on this person may have played a pivotal role in my getting the job. He was impressed with my military background, but that doesn’t mean I wouldn’t have landed this job had I not served in the military. The military is one experience that many people respect, because they know veterans are dependable, hard workers, and disciplined. 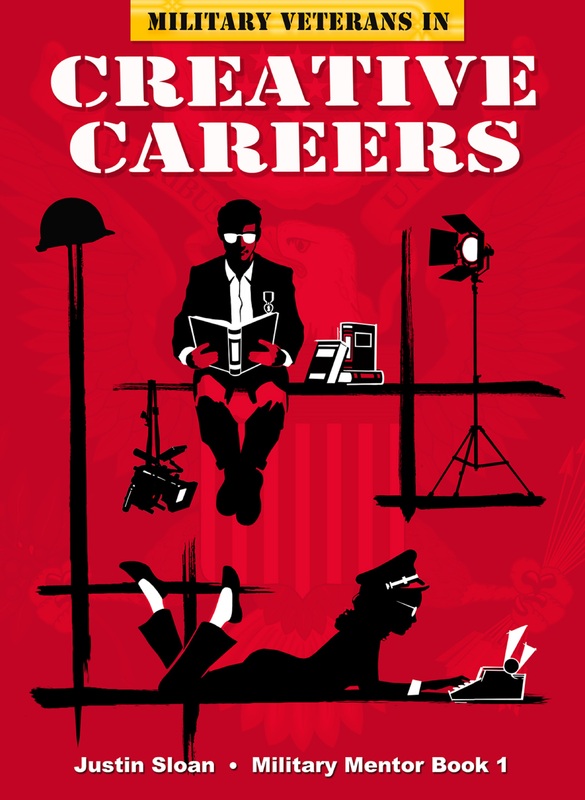 I have since interviewed many veterans for a book I recently published, Military Veterans in Creative Careers, and believe anyone who reads it will be incredibly impressed with the stories these veterans share, of what they’ve been through and how they got to where they are as screenwriters, directors, actors, and artists. My point of sharing this isn’t to say you have to serve in the military to pursue your passions with any hope of success, but that you have to find some way to set yourself apart. Maybe it will simply be a project that you work on that gains a mass internet audience, or you go to school with a professor who is best friends with the right person and provides an introduction, or numerous other avenues toward impressing the right person at the right time. The first step is to push your fears aside and commit to your dreams. Perfect your craft, network like crazy, and do everything you can to put yourself out there. Find what you can to set yourself apart. Leverage every experience you can to be able to wake up one day and be able to say that you love your life. It’s an amazing experience. – And this month (August), I am donating 100% of royalties to the wonderful organization OPERATION SUPPLY DROP.